Tell us a little about your urban fantasy novel, Roots. There are a lot of YA novels out about witches. What made you in particular decide to go the Wiccan route? It all comes down to religion. Ask anyone who knows me and they’ll tell you I LOVE to debate religion. I grew up in a very strict religious household and as I got older began to form my own opinions on the subject. I wondered about my family’s beliefs and realized I didn’t genuinely share them. Roots is written from that perspective. The main character struggles with her family’s beliefs and isn’t all that fond of them. For her, Wicca has always just been a way of life. She isn’t just a witch with magical powers, she’s part of a long line of devout Wiccans. Wicca isn’t just something she stumbles on, it’s who she is. While there are fantastical elements in this book, I wanted to step away from the idea that witches are supernatural beings. I love the name Baltimore Land. Sum the main character Baltimore up in three words. What do you like best about writing fantasy? It’s pretty strict. I have two kids—four and eleven. So, I have to actually put my writing on a schedule instead of writing when the mood strikes. So it’s usually Monday to Friday between the hours of 1 and 3, when my son is in Kindergarten or 9 and 12 after the kids go to bed. I try to keep it healthy and not stay up past midnight, but if I’m in the zone, that doesn’t always work. Yes and no. I write more when it’s quiet because there is no distraction. But on the weekend, I’ll sometimes sneak a few hours in. It’s never quiet on the weekend. They’ll pop their heads in and out but, at this point if I’m typing vigorously, they know I’m writing so they don’t bother me. Sometimes I listen to music, but mostly when editing, not creating. I love it when readers recognize the time I put into my writing or compliment me on how thorough I’ve been. Even if they don’t like the book, I’m always appreciative of the comments that point out how hard I worked on it. I don’t rush to publish. Ever. I think every reader should have a decent experience. 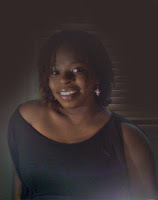 So even though I don’t have a professional team backing me, I want my work to appear as professional as possible. And I do my best. So when people notice, it’s like a five star review! Last, but not least, my Super Silly Question: You need a day off, so you decide to send the kids off to Narnia. How do you get them there? Fill in the blank: The Lion, the Witch, and the ??? 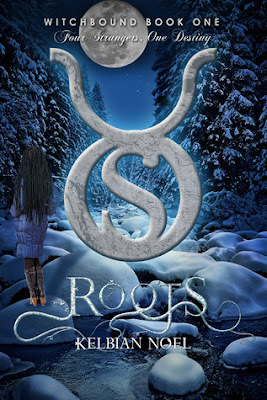 Review of Roots coming soon. Thank YOU for stopping through! It was great.